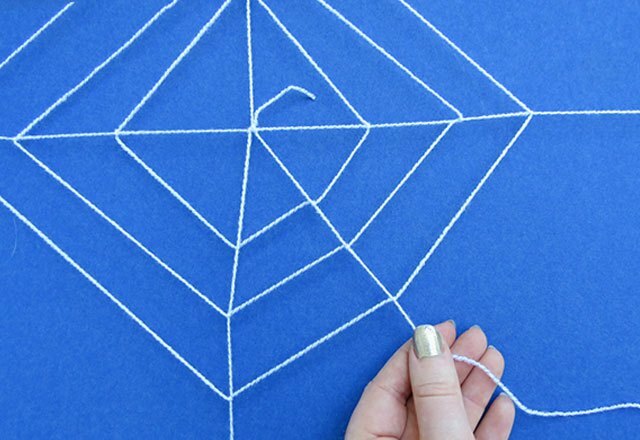 Create a spider web out of rope and knots that can be used both indoors and out. 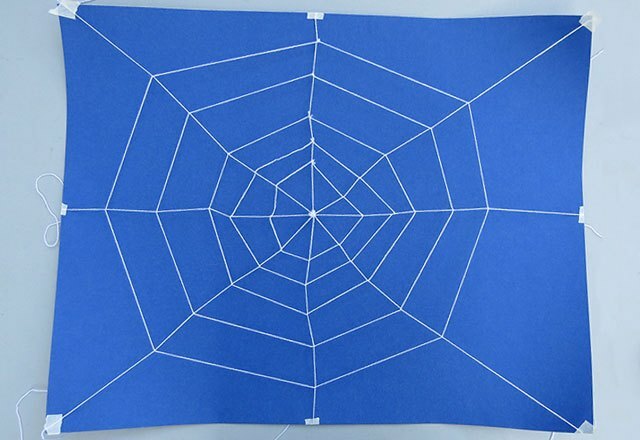 Hang it in a doorway or make a giant web for the yard. 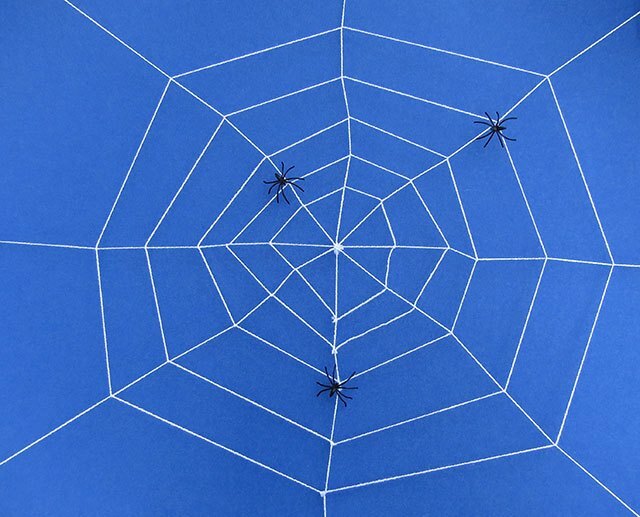 Add a few fake spiders for a spooky and realistic look. 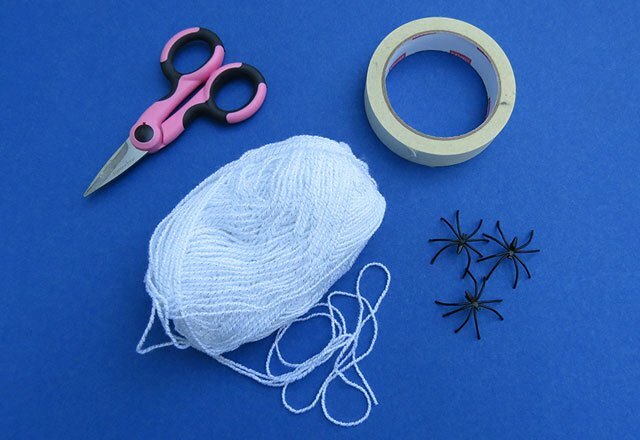 The supplies needed will depend on how large of web you want to make and where you set it up. 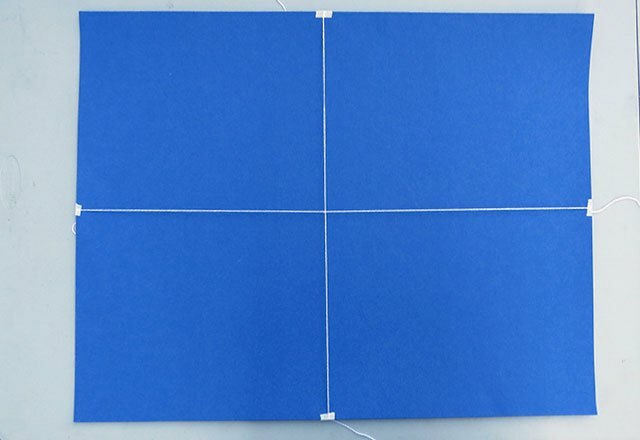 For smaller versions, tape it to a poster board or wall. For larger versions, tie the ropes directly to trees or poles. You can also use lawn stakes to secure it to the ground. 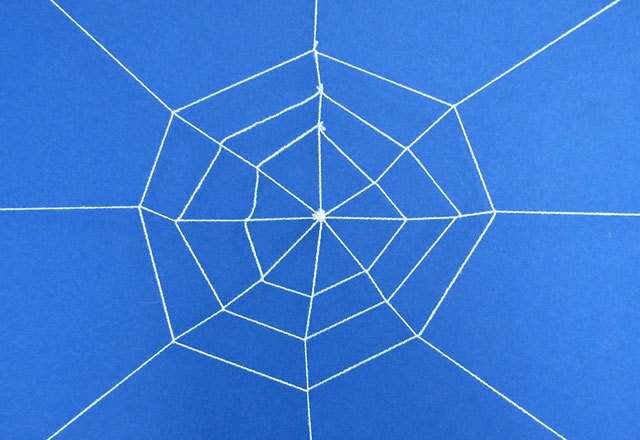 Knotted spider webs can be made as small or large as you want. An easy way to make a smaller version is to use a poster board as the frame. Cut 2 pieces of rope about twice the size of the poster board. Criss-cross them with a knot in the center and secure to each side with tape. 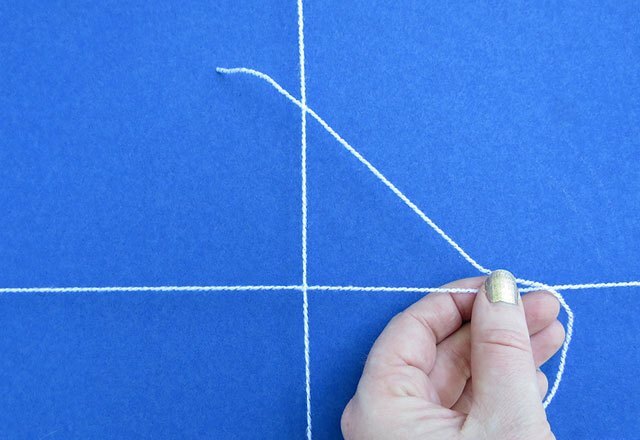 Start the web by tying a knot a few inches up from the center. 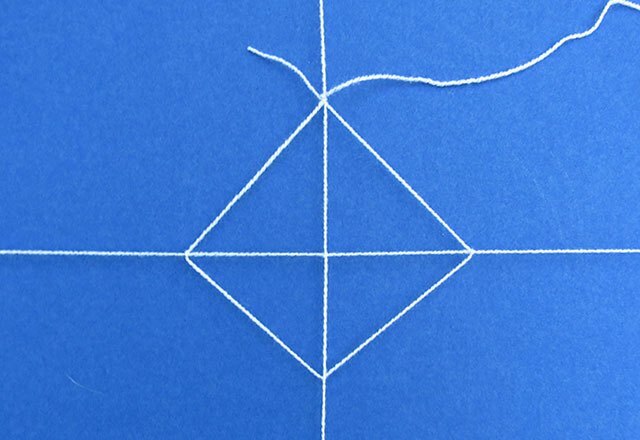 Working clockwise, create a diamond shape by tying a knot on each of the crossed pieces. Cut the rope when you finish each shape and start the next one with a new piece. 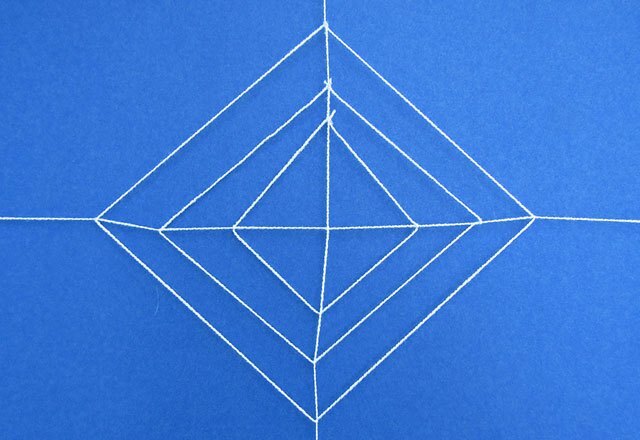 Tie another knot above the first diamond and work clockwise to create a second and third diamond. Add 4 long support ropes by tying a knot to the center and then to each section moving diagonally. Tape each end to the edge of the board. Continue to knot clockwise until you reach the edge of the board. Once it’s complete, you can remove the tape and hang it in a corner or doorway. 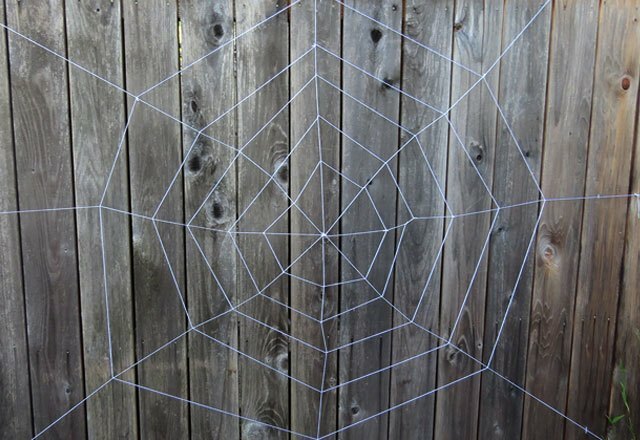 You can also create a large web directly on a fence, wall or between trees.